Tuesday’s flight to geostationary orbit delivered a payload lift performance estimated at 10,018 kg. – which included the two spacecraft, along with the dispenser system and integration hardware in Ariane 5’s dual-passenger configuration. 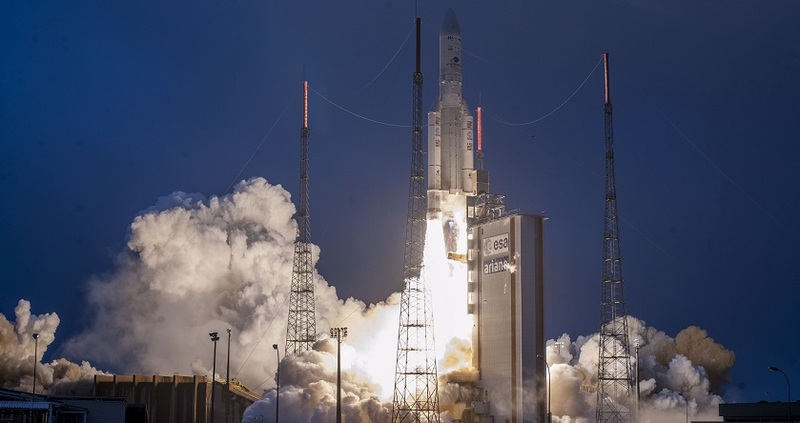 With Tuesday’s success, Arianespace kicks off a busy launch schedule in 2019 – which targets up to 12 missions from the Spaceport with the heavyweight Ariane 5, medium-lift Soyuz and lightweight Vega.